The pedal can be used for a number of things. First of all, it could be used at the front of the effects chain with the buffer off so that it will not affect fuzz pedals. It could also be used at the end of the chain with the buffer onto counter volume loss from other pedals. 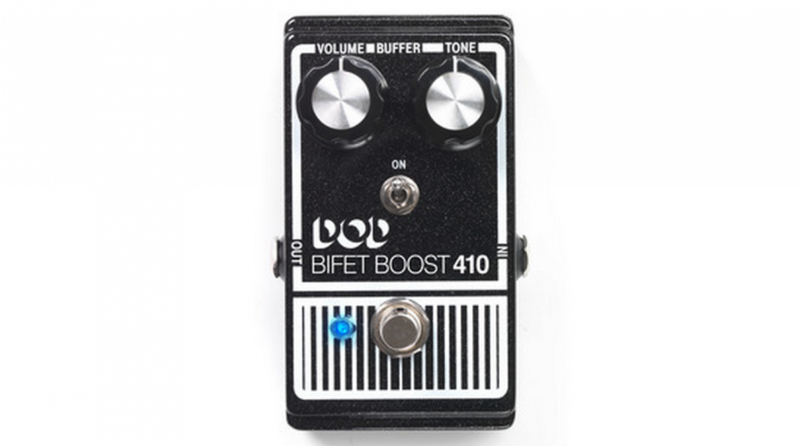 The Bifet Boost 410 also offers independent volume and tone controls, the volume for controlling the amount of boost, and the tone for either treble or bass boosts. Not only that, but it is also true bypass, which is different than the original. The Bifet Boost 410 (2014) is not yet available for sale, but keep an eye on AllThingsGear to find out when it is!